As we were drinking this Tempranillo from from Amador County, I was intrigued to know more about the region. This was the county in CA that was tragically impacted by recent fires. Luckily, no vineyards lost their crops. However, there is concern over “smoke taint” which can produce off putting flavors in the wine especially during verasion. Sadly the fire and the grape maturity were in sync. At best, the smoke can create a campfire essence. We shall see. I truly enjoyed this wine and claim it as my new discovery. 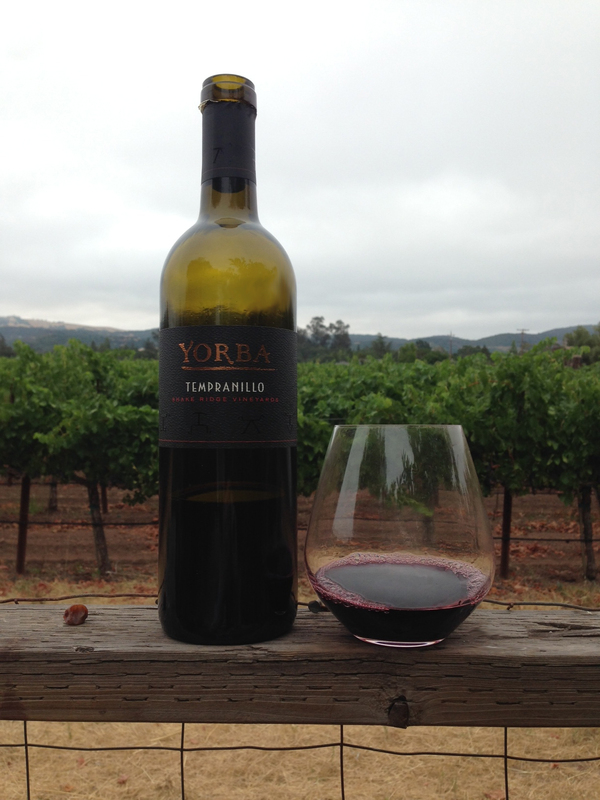 The color on this Tempranillo was a deep rich red with a lovely ruby outer ring – nose was immediately dark ripe fruit with a hint of raspberry, blackberry – first sip pomegranate, hint of spice, very balanced tannins and acid, smooth, light but with a body that was a pleasant surprise. I’m a Pinot fanatic and this reminded me of a lovely, smooth Pinot, with a touch more fruit. One guest suggested it was in-between a Primitivo and a Zinfandel – ooooh fancy chat – I’ll have to research that one. Another guest told me that there was now a “chance in hell” that he would consider buying wines under $10 after tasting this wine. I was so smug until I finished writing this post. Upon fact checking the price on winesearcher.com, I realized I had made an oopsie. This wine had accidentally “mixed” with the wrong crowd in the câve. Someone (who shall remain shameless) retrieved it at my request, and I did not notice upon decanting, serving and tasting that this Tempranillo was not the intended Tempranillo. F! I had already written my notes and practically finished this post (which many of you already know is a higher hurdle than tasting wine.) Sheepishly, I have decided to share this review with you because I know you can keep a secret. Between us friends, this wine was very good and well worth $38.00! Shhhhhhh! If you are in the mood to trade-up, or need a hostess gift that will get you invited back, this was a splurgy good buy. I apologize for the unintentional deception, all I can say is the butler did it. PS: This happy accident has resulted in an addendum to my rating system. “Splurgy good buy”will now be a new classification when unwittingly necessary. Splurgy is a completely under-used word, more of it please! I concur! I shall banter it about with abandon. paper cuts could be pretty darn dangerous! LOL!